"This month I have been working on two cosplays, one for myself and one for my boyfriend for Anime North. I�ve been fixing up and updating my Tiki Bar Sona and making him a male Jinx, it�s been turning out to be a lot of fun. 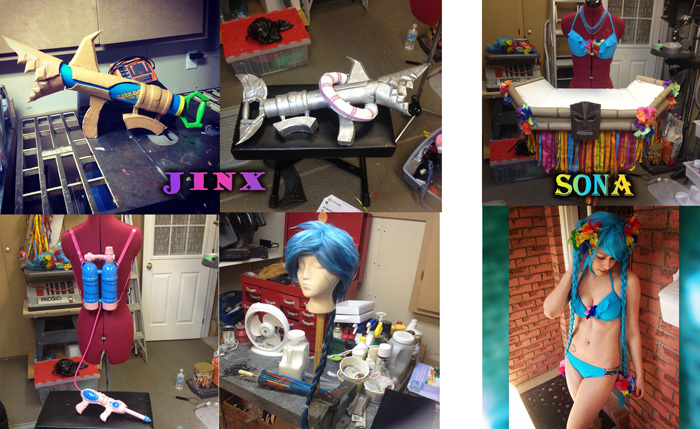 I decided to make Jinx�s guns out of water guns that I have painted/modded. Fishbones is made out of a water cannon that was covered in worbla and painted, and the zap gun is a little pump gun with a backpack that i painted and sealed, also modding the straps and the tube. I styled the wig as well, so there�s only a few more things to do for this cosplay! My Sona is almost done as well. I found a perfect bikini for her and styled the wig with a bunch of rainbow hibiscus flowers, and also added some wood glue to the bamboo parts of the tiki bar and changed the skirt as well. I�ll be making a better top than before as well. I�m so excited for this con!! =D"
"Hey Everyone! GG Northern Belle Rogue here with a couple updates of what's going on with me lately. We just had our Northern Panic Cosplay City Clean up event where I debuted my new EVE costume from Disney's WALL-E. It was a lot of fun! As far as into the future I'm starting to work on a couple new concepts. I recently just purchased Arda Wig's Ferrari in mint green and I'm going to be putting it towards a couple of characters this summer. One of which, will be a team up with GG Scarlett Quinn. She and I will be doing Nurse Joy and Officer Jenny from Pokemon, so make sure to keep an eye out for us debuting these at Atomic Lollipop 2015! I'm also currently working on a few wonder woman upgrades to get myself used to work with foam. I'm not only planning a couple different versions of Wonder Woman, but also a few other armoured cosplays in the near future. That's all for now Sugahs ;)"
"This month I've been working insanely hard on my Soraka cosplay for Anime North. I am very proud of this costume and very happy to say that I made or modified every part of it." "This month I have been working hard updating my wings for Tinkerbell and I am proud to announce that she will be making an appearance at Ottawa Comicon and Motor City Comic Con this month. 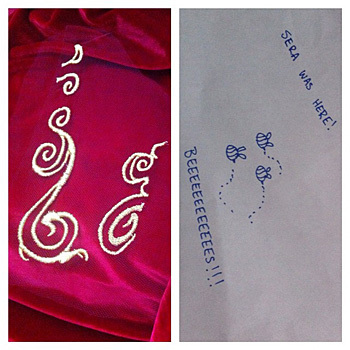 I have also been working on my Zhaan costume and have started a new project. For more updates follow me on twitter and instagram @playertwogxg"
"Wahh! The last little while has been insane! I just finished university, and now I'm getting back into the swing of cosplay just in time for Anime North! 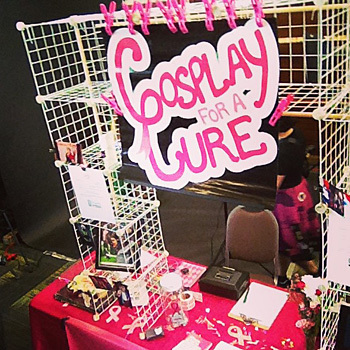 This year I will once again be working the Cosplay For A Cure booth, so come on by and have your photo taken for a great cause, and say hello. 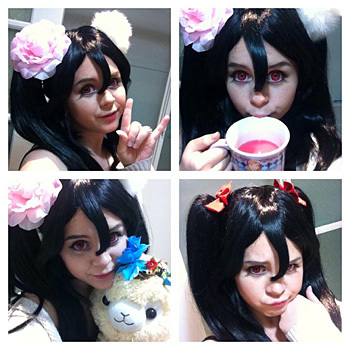 I'm working on one new costume for Anime North, and that's Cutie Panther Nico from Love Live! 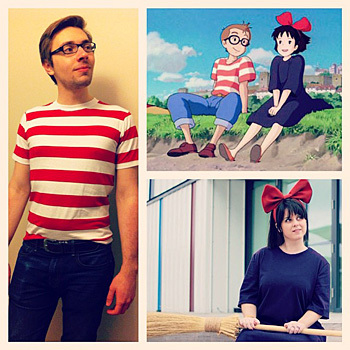 I'm also bringing Kiki from Kiki's Delivery Service, and my boyfriend will be joining me as Tombo. My first couple's cosplay! Woo! For more info on Cosplay For A Cure please visit their facebook page and to keep up with my progress on these and other costumes, check out my page at my facebook page"